According to Benedict Anderson, one of the most influential scholars on nationalism, all nations are socially constructed communities, imagined by those who perceive themselves as part of that particular group. Following Anderson there are certain elements and dynamics which commonly aid the creation of this mental image of affinity among its members, including historiography, iconography, shared sacrifices or simply, a song: "[T]ake national anthems, for example, sung on national holidays. No matter how banal the words and mediocre the tunes, there is in this singing a moment of simultaneity. At precisely such moments, people wholly unknown to each other utter the same verses to the same melody. The image: unisonance." 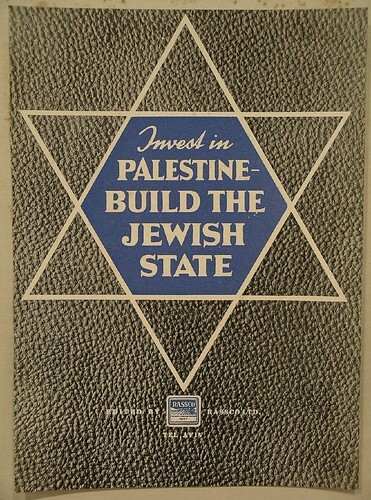 In the Palestinian case we can already find pretty much all of those ingredients that make up an imagined community, surely we have manifold shared traumatic events, we have a flag, we have an anthem, we have folklore, soon enough we'll have passports and other documents proudly stating "State of Palestine" - what's obviously missing is sovereignty, so let's go back in history and let's see what has been accomplished on this level. Already in 1974 the Arab League summit had designated the Palestine Liberation Organisation (PLO), although in exile, as the "sole legitimate representative of the Palestinian people" and reaffirmed their right "to establish an independent state of urgency". 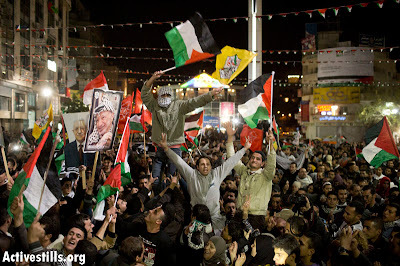 In the same year, the PLO was granted the status of an observer entity by a United Nations General Assembly resolution. This new status allowed the PLO to participate as an observer in the sessions and the work of the General Assembly, and of all international conferences convened by the organs of the UN. Later, in 1988 during a meeting of the Palestine National Council in Algiers, the PLO made a first attempt at unilaterally declaring a Palestinian state within the 1967 armistice line, when Chairman Yasser Arafat declared the independence of the State of Palestine. The declaration, written by distinguished Palestinian poet Mahmoud Darwish, was based on the United Nations General Assembly Resolution 181 from November 1947, which was supposed to provide for the termination and partition of the British Mandate into two states and which at the time was rejected by the Palestinian leadership, including the Palestinian Higher Committee. In referencing Resolution 181, as well as Resolution 242 from November 1967, which laid out the principles for the establishment of a just and lasting peace in the Middle East and which was similarly rejected by the Palestinians at the time, the Declaration of Independence is often interpreted as implicitly recognising the legitimacy of the State of Israel. 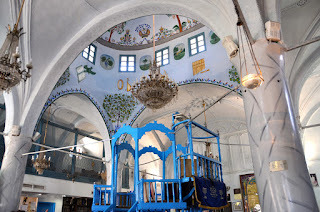 The declaration's reference to Palestine as "land of the three monotheistic faiths" is further seen as acknowledging the Jewish historical connection to the land. 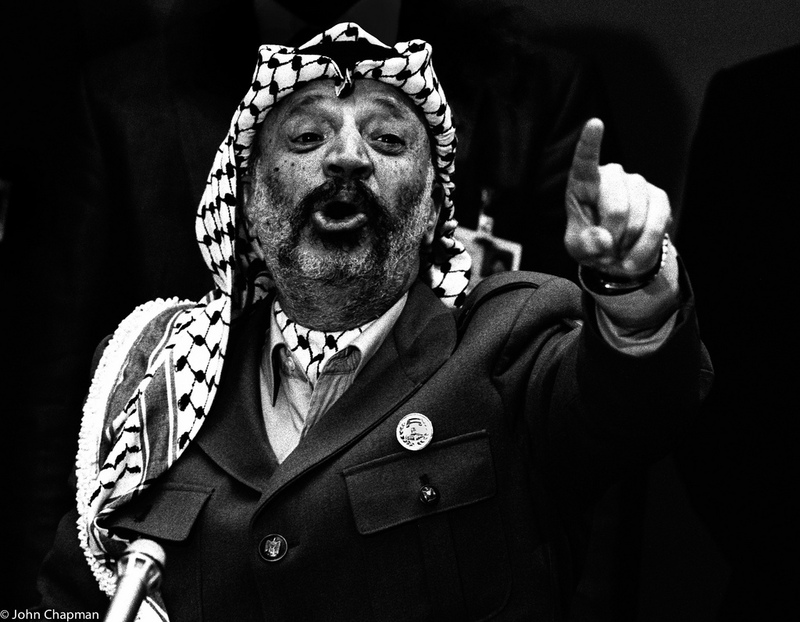 In the declaration's aftermath, the United General Assembly invited Chairman Arafat to give an address, which in turn led to the adoption of a resolution which acknowledged "the proclamation of the State of Palestine by the Palestine National Council" and which further decided to use the designation "Palestine" instead of "PLO" in the United Nations system. The Declaration of Independence was recognised by over 100 countries, yet, as we all know, did not lead to the de facto establishment of a Palestinian state. In September 2011 PLO Chairman Mahmoud Abbas sought to upgrade Palestine's status at the UN to that of full member-state, a notion which failed due to the Security Council's inability to "make an unanimous recommendation". One year later Abbas submitted another request to the General Assembly which asked for an upgrade from the status of a permanent non-member observer entity to a permanent non-member observer state. As opposed to the previous bid, which was addressed to the Security Council which allows its 15 members to veto any decision, the resolution of 2012 only needed to be passed by a simple majority at the 193-member UN General Assembly and proved to be successful, as 138 countries voted in favour of the upgrade. Although this move has been widely regarded as a purely symbolic one, or as Israel sees it "a meaningless decision that will not change anything on the ground", it does endow the Palestinian Authority with certain new rights, the most important one of which is probably an increased chance to become party of the Rome Statute and thereby to accede to the International Criminal Court (ICC), an opportunity which hitherto had been denied to the Palestinians due to the fact that only a "state" could confer jurisdiction on the court. If Palestine would be successful in joining the ICC, international crimes committed in its territory, including war crimes, as well as the establishment of civilian settlements, could be subject to ICC jurisdiction. However, legal scholars have already cautioned that there are a number of obstacles to the realisation of this process, such as the exact determination of what constitutes Palestinian "sovereign territory", which in itself would be subject to prolonged legal bickering. While many Palestinians welcomed the upgrade to the new status, however symbolic it may be, others have voiced heavy criticism against it. One of the main claims is that the new state is likely to undermine the status of the PLO, which represents all Palestinians globally, as opposed to the PA which can only speak for those Palestinians living in the West Bank. Translated into geographical terms, the move could be seen as having diminished the Palestinian state from 43% of historic Palestine, as stipulated by the 1947 partition plan, to less than 18% per cent. In terms of demography it has reduced the number of the Palestinian population from 12 million, which includes the refugees, to 2,4 million West Bankers. President Abbas however still seems to see himself as the president of the whole Palestinian community. 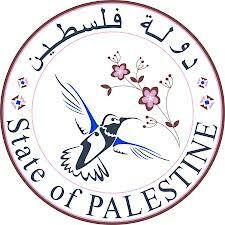 In January 2013 he announced the re-issuing of passports, identity cards, registration documents, vehicle licenses, drivers' licenses, stamps and postcards which from now on should read "State of Palestine", instead of "Palestinian National Authority". Abbas emphasised that the new ID cards and passports should be used "by all Palestinians, both in Palestine and in the diaspora". Notwithstanding the lack of defined borders or even populaion, the mental image of the State of Palestine is a vivid and constantly evolving one. So is the one of the State of Israel and its competing discourse over the same strip of land. Sadly, the violence and the trauma experienced by the inhabitants as a consequence of those mental images are not imagined ones and a solution on the ground will eventually have to be found.